Paneer makhani or Butter paneer- A popular Punjabi dish also popular all over india. 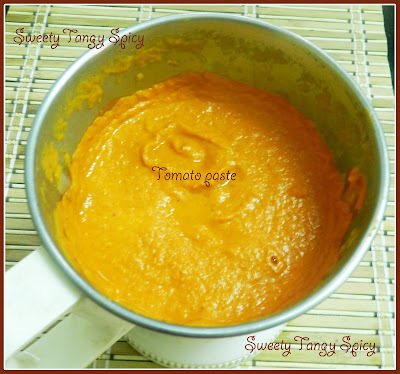 It is a simple and really easy to make. 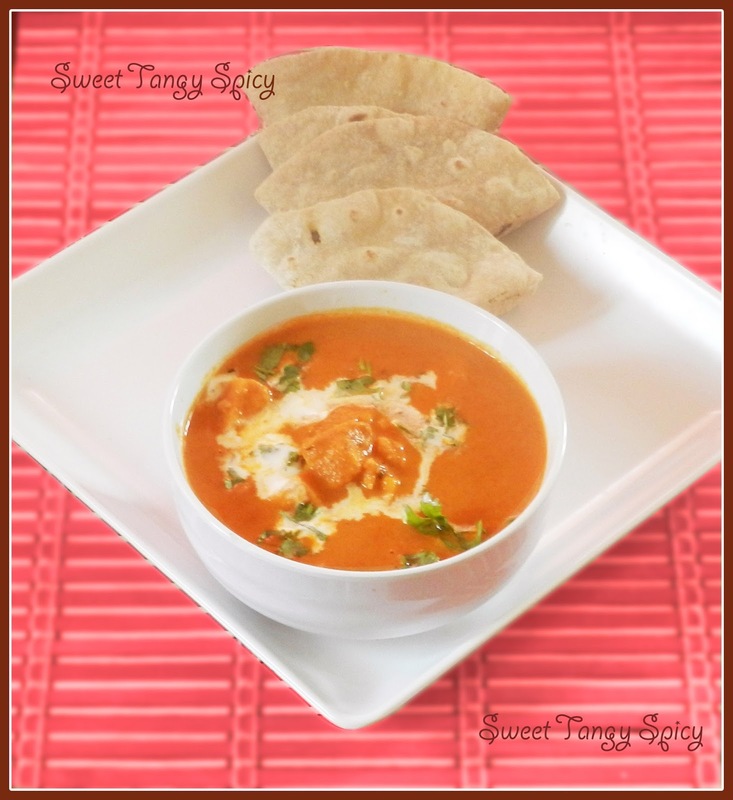 We tasted both sweet and slightly spicy varieties of paneer makhani. I personally prefer the second one. It is one of our favourite paneer dish which we like to have with chappati, nan and vegetable fried rice. 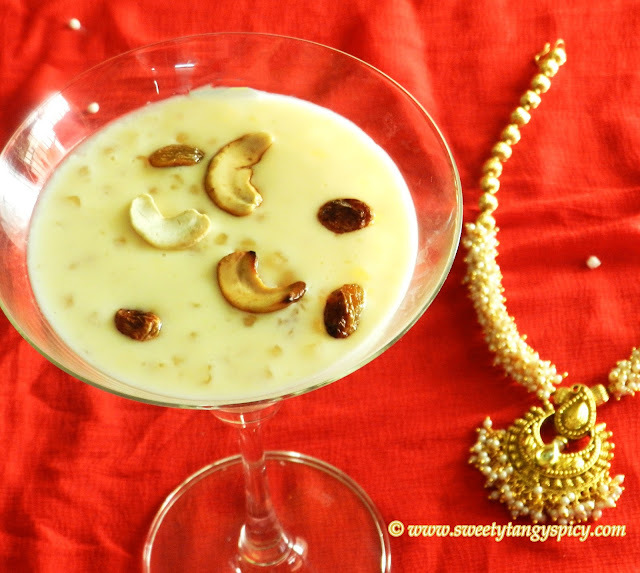 This north Indian recipe has became one of the favourite dishes of south Indians too. Usually, tomato puree is added to make the gravy, but I am comfortable with the recipe which I mentioned here. 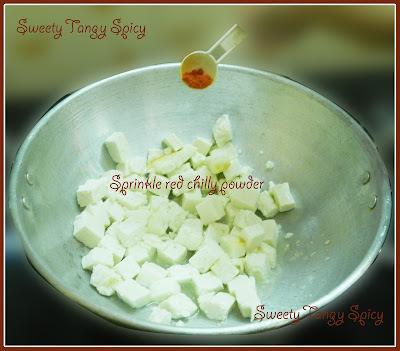 As the name suggests, its main ingredients are paneer and butter. (Makhani is the Indian name for butter.) Here comes the recipe. 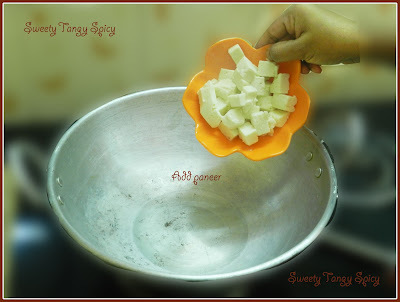 Heat oil in a pan, add the paneer cubes. Sprinkle a pinch of salt and red chilly powder on both sides. 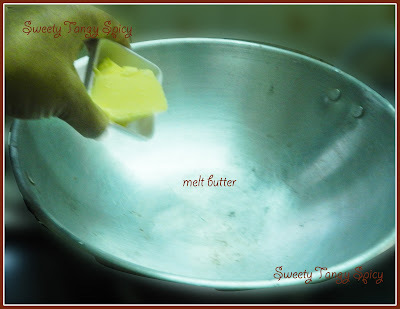 Cook both sides till golden brown in colour. 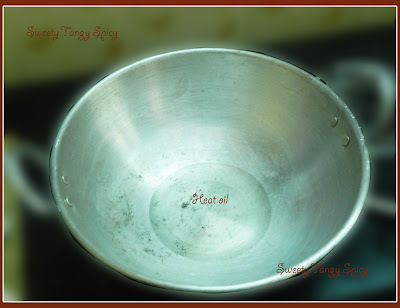 Heat oil in a pan. Saute ginger and garlic for one minute. Add the chopped tomato and cook until softens and mashed up nicely. 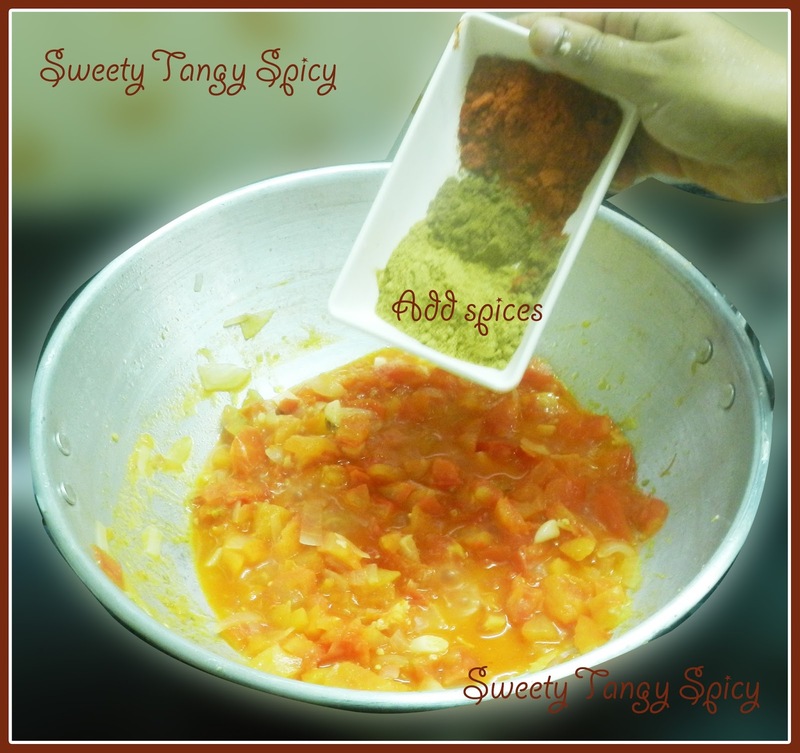 Add Kashmiri chilly powder, coriander powder and garam masala. Mix well and cook for a few more minutes. Let it cool down for a minute. 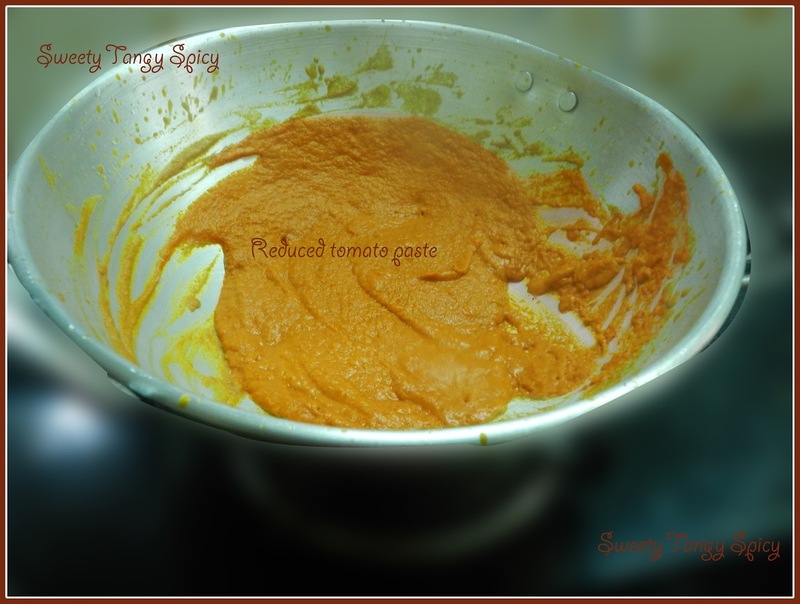 Grind to smooth paste, sieve it and keep aside. Heat butter in the same pan, add the tomato-onion paste and saute until the oil separate. Add 1 cup of water. Mix well. When it starts to boil, add salt and sugar, dried fenugreek leaves and paneer cubes. Do a taste test at this stage, adjust salt and sugar accordingly. Let the gravy to reduce and attain the consistency as needed. 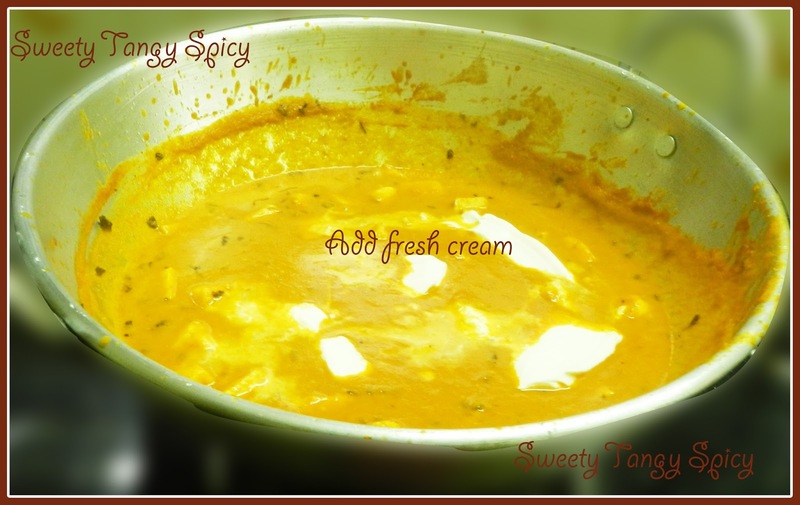 When reduced, add fresh cream and immediately switch off the stove. 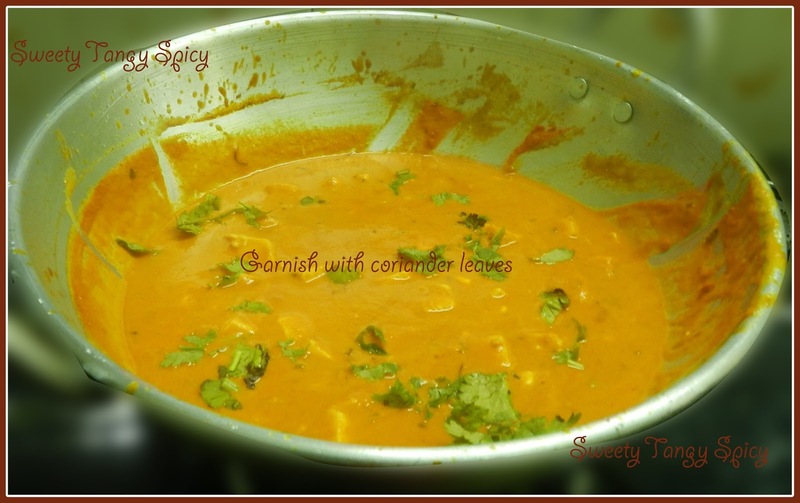 Add coriander leaves as needed. 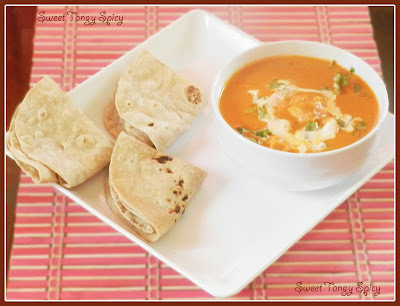 Serve with chappathi, nan, rice etc. 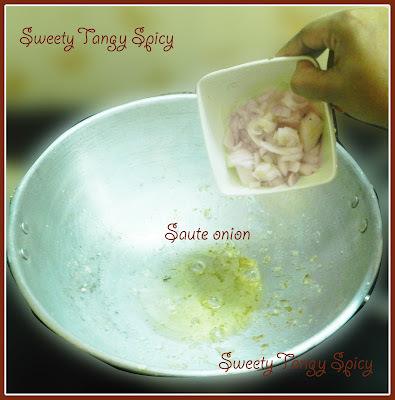 Sprinkle a pinch of salt and red chilly powder on both sides. 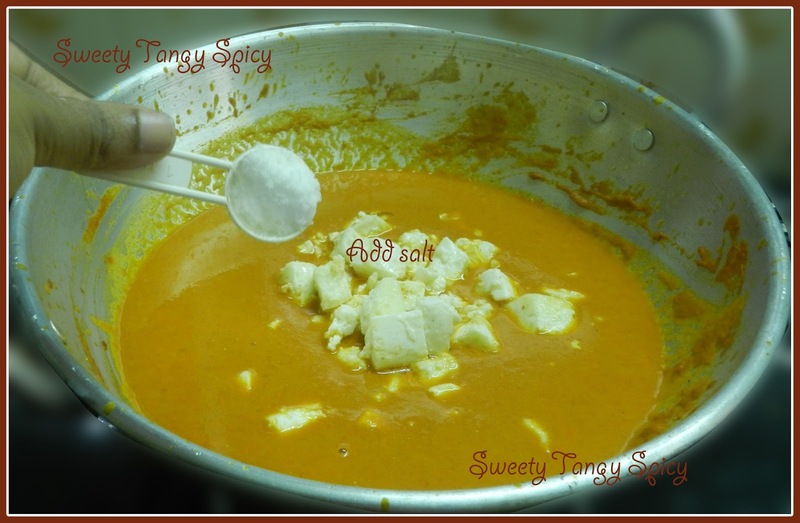 Cook both sides till golden brown in colour. 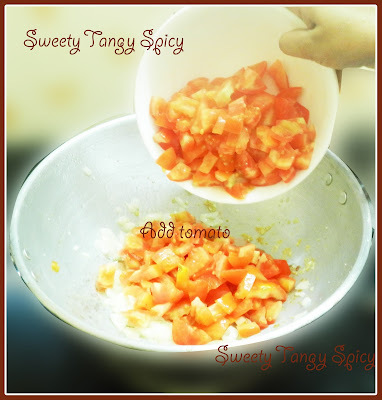 Add the tomato-onion paste and saute until the oil separate. Add 1 cup of water. 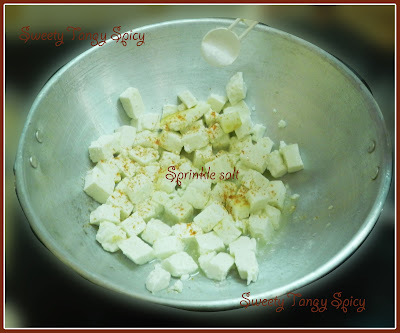 Mix well.When it starts to boil, add salt and sugar, dried fenugreek leaves and paneer cubes. Do a taste test at this stage, adjust salt and sugar accordingly. 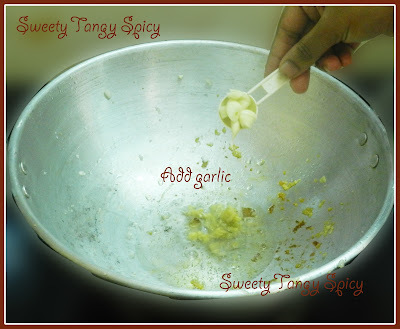 Let the gravy to reduce and attain the consistency as needed. When reduced, add fresh cream and immediately switch off the stove.